The oddest of tea leaves fell on Saturday — news that Bryce Harper and the Nationals had agreed upon a $21.625 million contract for 2018, avoiding his final year of arbitration. I cannot recall another deal like this being struck in mid-May, and the curious timing raised the usual questions about Harper’s future with the Nats, and whether he will sign an extension before reaching free agency. My guess is no, that Harper is not going to concede the 2018-19 market to Manny Machado and others without fully exploring his value. One rival agent speculated that the Harper deal was the byproduct of a long-term discussion, and that the agreement simply amounted to a tabling of negotiations. 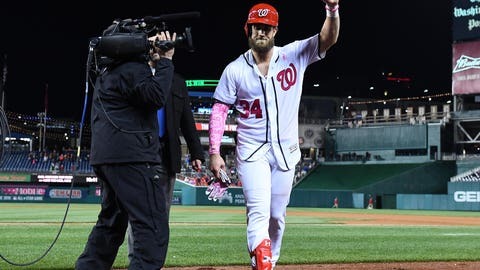 But Harper, his agent, Scott Boras and the Nationals all denied that theory, saying their discussions were limited to the one-year contract for ’18. Whatever, no one should rule out the Nats coughing up $400 million, or whatever the number for Harper will be, given Boras’ relationship with the team’s ownership. As I’ve written before, Nats ownership operates to its own rhythm, with Boras frequently calling out the beats. Harper’s 2018 contract is the largest one-year deal for an arbitration-eligible player, but the number might have been higher if the Nationals had not stared down Boras in a dispute at the start of his arbitration process. The dispute stemmed from the contract Harper signed as the No. 1 pick in the 2010 draft. Harper and Boras contended that Harper had the right to opt out of his negotiated 2015 salary and enter arbitration. The Nats said they never included opt-out language in the deal. The difference amounted to four years of arbitration vs. three. Rather than go to a grievance they might have lost, Boras and Harper accepted a two-year, $7.5 million deal, with two more years of arbitration to follow. Therein lied the problem: A player’s salary in arbitration ascends like a staircase, with each number built upon the other. Harper, by starting at a reduced rate, never realized the value he would have attained if Boras had secured him the opt-out language, giving him four years in the process. 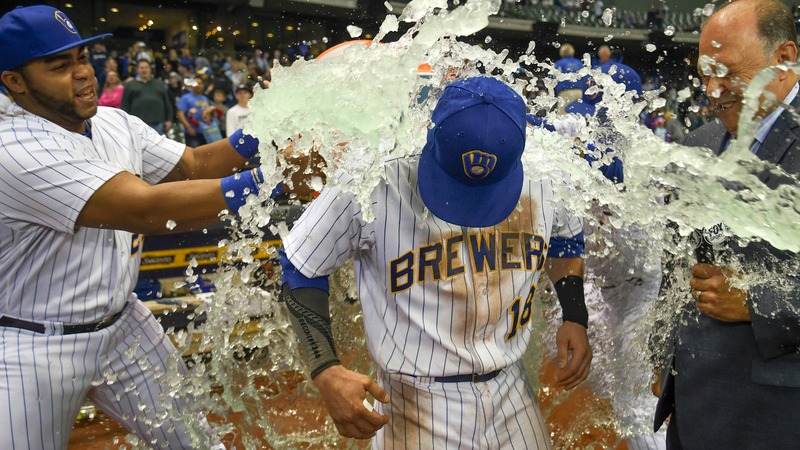 His two-year deal left him with a $5 million salary last season — a relatively low number for an arbitration-eligible player coming off the 2015 National League MVP award. So, how much did Harper ultimately sacrifice? Boras might argue nothing, saying that Harper likely would have made the same in three years of arbitration as he did in the two-year deal and the two subsequent arb years. (Dallas Keuchel got $7.25 million in his first year of arbitration after winning the Cy Young, Ryan Howard $10 million after winning Rookie of the Year and MVP; Harper in his first year likely would have come in under Howard, who had performed even better, and slightly above the combined numbers in his two-year deal). Yet, in the estimation of one rival agent, Harper might have earned $55 million over four true years of arbitration. Instead, Harper will get $42.75 million in that time frame, on top of the $8.9 million from his initial draft deal, then enter the free-agent market at 26. Dude ain’t going hungry — those are unprecedented earnings for a player his age. Still, the question lingers: Why the rush to sign for ’18? 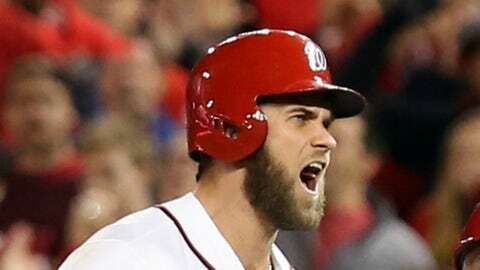 Harper, batting .368 with 11 homers and a 1.220 OPS, is currently ahead of his MVP pace, and leads the majors with a .493 on-base percentage. 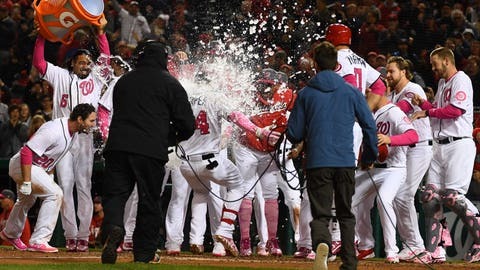 On Saturday night, he hit his second walkoff homer of the season and fifth of his career. At this rate, he could have built a monster case in arbitration, perhaps armed with his second MVP in three years. Boras, however, landed Harper a raise of nearly $8 million from his current salary of $13.63 million, with the chance to earn another $1 million in incentives. Could the two have pushed the number higher? Probably. But Boras said he placed a value on Harper’s peace of mind. Well, Harper would have gotten his money, anyway; the process all but guarantees it. Harper also is one who embraces every challenge; his confidence is part of what makes him so great. General managers surely will chuckle at Boras’ emphasis on freeing Harper’s mind, citing any number of examples when the agent turned down extensions that could have assured such tranquility for other clients. Boras, though, generally does not push it in arbitration — his last hearing was a victory for Pedro Alvarez over the Pirates in ’15. In any case, Harper will not hold the arb record for long. Blue Jays third baseman Josh Donaldson, earning $17 million this season, might surpass Harper’s $21.625 million deal next winter as a fourth-year eligible. The Rockies’ Nolan Arenado, who will earn $17.75 next season, should go higher on as a fourth-year eligible in 2018-19; he already has hit 40 homers twice and won four Gold Glove awards. His big payday is coming, most likely as a free agent. And when it does, Saturday’s surprising turn of events likely will amount to a footnote, nothing more.